Hey sweet things! 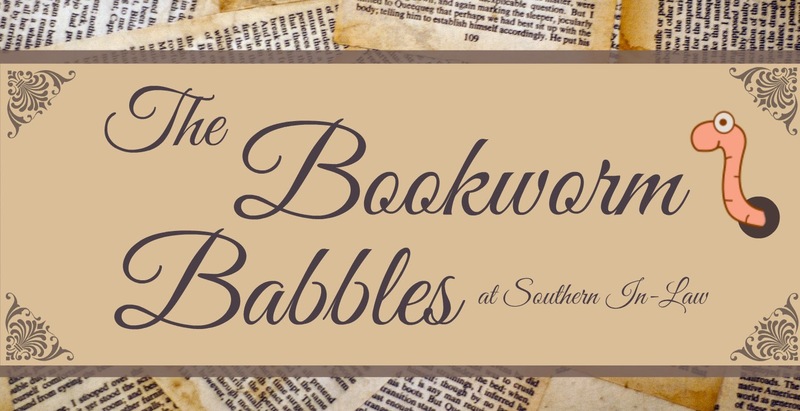 The bookworm is back! I have been devouring books lately and I have so many to tell you about - but first I wanted to share one that has really got me thinking. 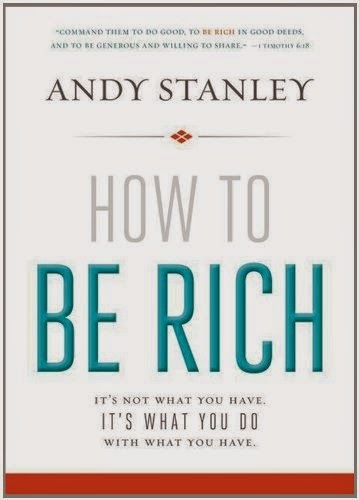 It's called How to Be Rich - and no, it's not a scam, it's actually a really eye opening book. It's true that we're all in the pursuit of wealth - whether it's being rich or just financially stable, money is something that consumes our minds almost every day. But do you realise that if you're reading this right now, you're considered one of the worlds richest people? You have a computer or a laptop or a tablet or a smart phone - you have a place to call home and somewhere comfortable to sleep tonight. You've got enough food to satisfy your hunger and you've got clothes on your body - right? This book pushes one point that I also feel so strongly about. Being "rich" is not about what you have it's about what you do with what you have. This is a point that Jesus made so clear in the bible - because it's what you do in this life that will count for you or against you in the kingdom of heaven - not how many fifty dollar bills you can hand Jesus on your way through the gates or your personalised LV luggage set. You would think that being so rich, we'd do a lot with what we have... right? Wrong. The richer we become, the less we give and the more our priorities seem to separate from what our true needs are. Our basic needs been met, however, we keep wanting more. When we're earning $30,0000 we wish we were earning $50,0000 - and when we earn that amount, we decide that $75,000 would be the perfect amount - but we reach that and we're still not satisfied, because surely $100,000 would be the perfect amount, right? We all want more regardless of where we are in life. We're so absorbed in our efforts to get "rich" that we don't recognise when we are rich. We take what we have for granted. Most of us only have to work 5 days per week in order to live comfortably for 7. But why is it that the richer we get, the smaller the percentage we give? Shouldn't it be the opposite? Money has an effect on people. It alters the way we see and handle everything and everyone. Human nature tells us that our identities are defined by what we have. But this book pushes a different point. We shouldn't be focusing on what we do or don't have - we need to be focusing on what we do or don't do. As it says in 1 Timothy 6:17 "Command those who are rich in this present world not to be arrogant not to put their hope in wealth, which is so uncertain". It's one thing to have hope and riches - but it's another to have hope in riches. As Andy says in How to Be Rich , this is when you're headed down a slippery slope. How do we make sure we don't slip? How to Be Rich looks at being rich in a whole new light. Yes, we need to be responsible with our money and pay our debts and save for our future - but we need to learn how to do that without putting our hope in riches. There is no amount of money that can protect us from everything. This book, whilst it does share wisdom from the bible, isn't just for Christians - it's for everyone. We all know that it doesn't work to count on money for hope. It will make you think about your own life and your own habits and you may even find yourself more content and satisfied with what you have. How to Be Rich looks at why we want to be rich so bad, why we feel like we're never rich enough and why we're always using that -er to excuse ourselves (because there's always someone richer better bigger). It reminds us that we have everything we need - but we've lost sight of what we need it for - and how to overcome our greed. Because really, we all often feel that what we have is given to us for our own consumption - rather than looking at how what we have can be used to benefit others who need it. This book gets you to look at how you view generosity and how money has been controlling you - your happiness, your lifestyle, your friendships and relationships, your faith. It teaches you how to be good at being rich and really, how to achieve happiness and contentment in your own life, wherever you are. It's not your typical "get-rich" book - it looks at the true definition of "rich". The more you read, the richer you realise you are - and the richer you become. You'll turn the last page asking yourself, "what should I be doing with what I have?" and you'll probably be happier than when you started too. It's a short book and a quick read - but a must read and a book that you'll want to share with everyone. It's a book that would be particularly helpful for those who are going through tough times financially - or those who always seem to burden themselves with money issues or revolve their entire lives around money. It's for me, it's for you - and everyone else on your street. It's a book that the person barely scraping by should read - and the book that millionares need to read ASAP. It will change your life and your mindset and you definitely won't regret turning the first page. But tell me, what do you consider rich? And what was the great book you read? I think we're all human - we always think rich is more than what we have, wherever we are in life. I know I often got trapped in thinking that what I have was for my own consumption, however, events have happened in recent years that have totally changed my thinking and I have definitely become more generous - one thing that made me realise that money is feeble and unimportant was having Jesse move here. It may have cost us a ridiculous amount of money, but I didn't even think twice about it because I was pursuing happiness, not richness. I think I've learnt that richness is more about richness of life - being happy, having those around you happy and enjoying life - not things. Hi Tania, you should be able to find buckwheat flour in any good supermarket in the health food section - or at health food stores. As it says in the recipe, you can use wholemeal flour or plain flour unstressed - just be careful not to over mix! Hmmm, did you pack the carrots into your measuring cup? Otherwise I would say it's most likely the oat flour - oats don't have the same qualities as flour (as you would know from eating oatmeal) they tend to hold a lot of moisture which is good when used in recipes in the right quantities - but when you use too much they hold too much moisture, making a soggy cake. Thank you! I'll try it exactly like you made it and I'll go buy buckwheat flour and gf self raising. So it wasn't that I used too much carrot? Is the consistency of the dough supposed to be really thick? You can also just use gluten free flour if you like! The batter will be quite thick - more like a muffin batter. So my friend and I are making this cake and we used spelt flour and lactose free milk as substitutes but followed the recipe for everything else. The cake batter seems very watery. Is that normal? Or did we do something wrong? What do you mean by watery? Do you mean that the batter is very thin? It should be quite thick so I'm not sure what happened there - were your carrots really moist when you grated them? Hi I'm sorry, but this recipe, like others say, just doesn't work. I followed it to the letter, using GF SR flour mix. I have been baking for years, GF five months. This was a waste of money and good ingredients. Is the picture of an example using ordinary flour? Hi Shanny, so that I can help you out would you mind telling me what went wrong? The pictured version is made using Orgran Self Raising Flour and I actually just made this recipe on Tuesday for a girl's night. We've never had any problems and there's also dozens of readers who have made and loved it and even sent us photos or featured the recipe on their blog. I loved this recipe thanks for sharing! I also tried it with Banana instead of carrot and it worked perfectly. I followed this recipe to a T and they turned out horribly. Unsure why, but they are incredibly bad and I'll have to throw them out. No idea where went wrong as like I mentioned, followed recipe in order. I'm sorry to hear the recipe didn't work out for you! I'm not sure why it didn't as this is one we make all the time - and one many readers have tried and loved! What flour did you use and did you use egg/egg whites/egg replacer? yes !!! carrot cake is good for health and easy to prepared at home. thanks to share with us. you can find more cake in this website : midnight cake delivery in hyderabad.